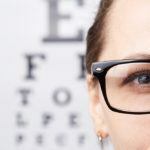 You may sometimes see small specks or clouds moving in your field of vision. They are called floaters. They are actually tiny clumps of gel or cells inside the vitreous, the clear jelly-like fluid that fills the inside of your eye. While these objects look like they are in front of your eye, they are actually floating inside. What you see are the shadows they cast on the retina. Floaters can have different shapes: little dots, circles, lines, clouds or cobwebs. Floaters are occasionally accompanied by flashes of light. Floaters appear often when looking at a plain colored field of view, e.g. blue sky or a wall. Typically when patients try to look at them they report that the spots “run- away”. While almost everyone sees a few floaters at one time or the other, they can occur more frequently and become more noticeable as you grow older (over 45 years of age). 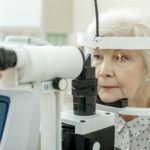 If you notice a sudden change in the number or size of floaters, you should contact your ophthalmologist right away so you can be sure they are not the result of a more serious problem. While floaters are normally not serious or treatable, they can be symptoms or signs of either vitreous or retinal detachment. On rare occasions, vitreous detachment can cause small tears or holes in the retina. The damaged part of the retina subsequently does not work properly and a blind or blurred spot in vision results. 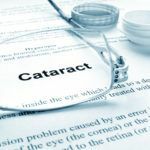 If untreated, retinal tears or holes can continue to worsen and severe vision loss can result if the retina becomes detached. Because you need to know if your retina is torn, consult your ophthalmologist if you notice new floaters suddenly. Floaters can get in the way of your clear vision, which may be quite annoying, especially if you are trying to read. You can try moving your eyes, looking up and down to move the floaters out of the way. While some floaters may remain in your vision, many of them will fade over time and become less bothersome. Surgical treatment is not recommended to remove floaters. When the vitreous gel rubs or pulls on the retina, you may see flashing lights or lightning streaks. 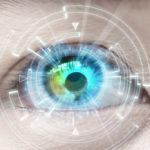 You may have experienced this same sensation if you have ever hit in the eye and seen “stars.” The flashes of light can appear off and on for several weeks or months. As you grow older, it is more common to experience flashes. If you notice the sudden appearance of light flashes, you should visit your ophthalmologist immediately to check if the retina has been torn. When an ophthalmologist examines your eyes, your pupils will be dilated with eye drops. During this painless examination, your ophthalmologist will carefully observe your retina and vitreous. Because your eyes have been dilated, you may need to make arrangements for someone to drive you home afterward. Floaters and flashes of light become more common as we grow older. While not all floaters and flashes are serious, you should always have a medical eye examination by your doctor to make sure that there has been no damage to your retina. If you are noticing floaters and flashes in your eyes, call at 510-431-5511 (Union City) to schedule an appointment at NeoVision Eye Center.